There is a whole world of independent brands of nail polish, and collectors who go bonkers for them. I am not a collector per se (although my Melmer with 200+ bottles of nail polish might disagree with you). For one thing, they tend to be more expensive than mainstream brands. For another thing, there is a lot of drama around quite a few of the makers when you delve into the various nail polish groups on Facebook. Ain't nobody got time for nail polish drama. But I do like to delve into indies from time to time when I feel like there might be something new or unique to try. One of the more successful indie brands is Colors By Llarowe (CbL). 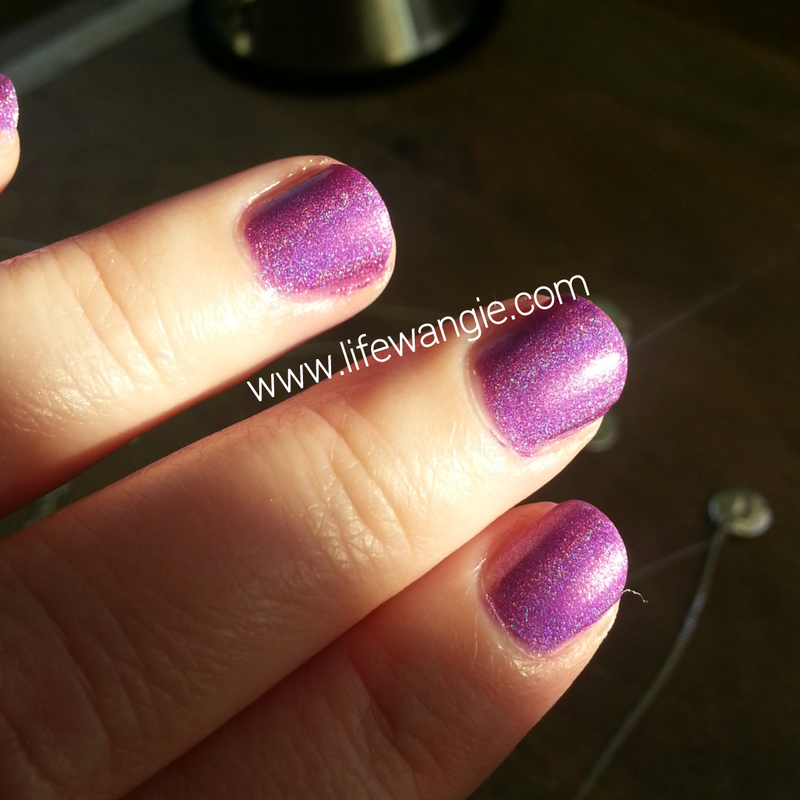 The maker has an online shop which is known as a go-to shop for nail polish collectors. 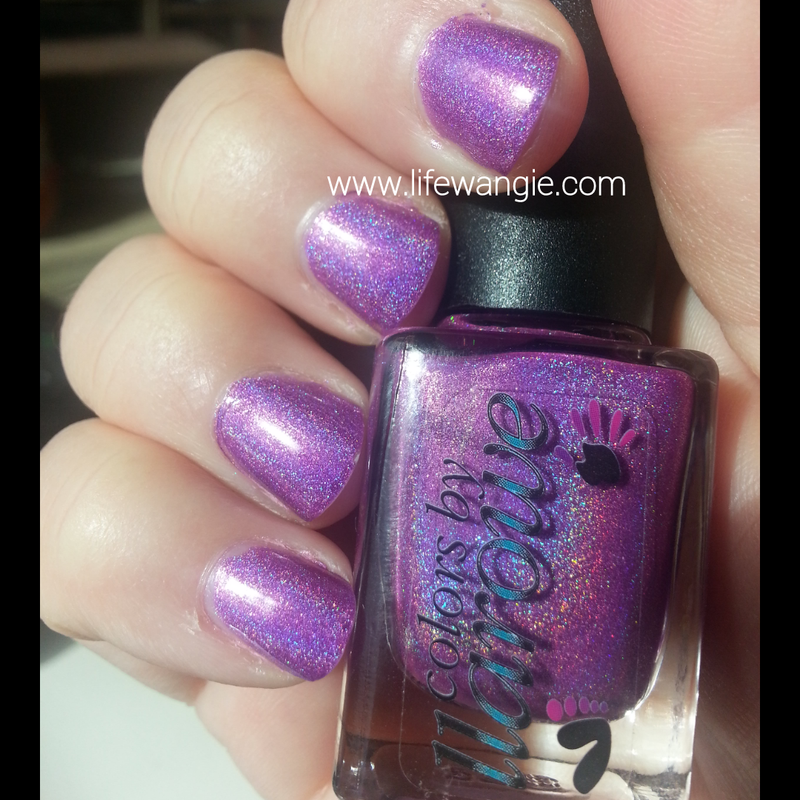 She sells indie polish from a variety of brands, and she makes this line as well. She also sells mainstream brands from other countries, like Barry M and Model's Own, among many others, and recently opened a brick and mortar store in Colorado. One type of nail polish that's missing from my non-collection are holos. I just don't have that many. Indie makers make holographic nail polish like nobody's business- for some reason, the mainstream makers have not been able to replicate this. So I bought My Own Private Paradise from a swapper, and I love it! This is considered a linear holo, which means if you catch it in the light just right, you see lines in the form of the colors of the rainbow. My swatches never quite pop as well as some bloggers when it comes to holos because I have really wide, flat nails, and you need more of a curve to really get that pop. But you can definitely see it in the bottle shot. I am happy with how they look on me. This time of year in Seattle, it's getting pretty gray, but we have had sunbreaks here and there. The other day I was sitting by the window typing and suddenly there was a sunbreak and my nails just POPPED! But even when the sun is in the clouds, this is a really pretty color, kind of a shimmery orchid. Some people consider CbLs too thick, but I personally liked the thickness. My nails are frequently damaged a little bit at the tips because of my day job as an IT person, so I like thicker polishes to kind of fill in the gaps. The shots above are two coats, with a topcoat (INM Out The Door).